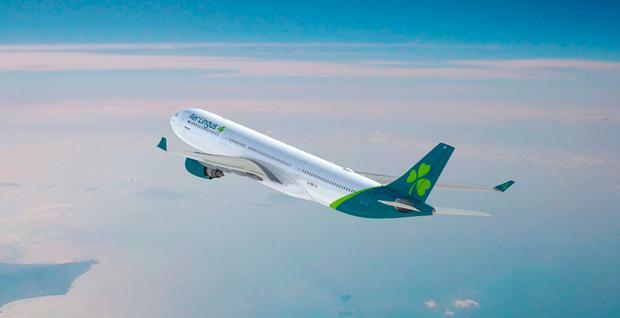 Aircraft delivery delays have forced Aer Lingus to postpone the start date for its new Dublin to Montreal service to summer 2020, the airline has said. The service, due to have been operated with new Airbus A321LR 'neo' aircraft, was set for take off from August 8. Delays have also resulted in the "temporary reduction in frequency" of four transatlantic routes during July of this year. The routes are Dublin to Philadelphia, Dublin to Minneapolis-St Paul, Dublin to Hartford, Connecticut and Shannon to JFK. Passengers booked to fly on the affected routes are being notified and given options for re-routing on alternative services, Aer Lingus says. Under EU Regulations, airline passengers whose flights are cancelled are entitled to a full refund or rebooking onto alternative routes. The airline has apologised for the inconvenience caused. Aer Lingus, which was acquired by IAG in 2015, has been expanding its transatlantic services at pace in recent years, with new routes now operating to Seattle, Miami and Philadelphia among other additions. To date, much of its transatlantic growth has been based on wide-body Airbus A330s, but it expected to take delivery of four Airbus A321LRs this year. Those aircraft have now been delayed, a spokesperson told the Irish Independent. "We are still expecting the first two aircraft to be ready for commercial operation in late summer, with the other two scheduled to arrive later in 2019." "As there is no equivalent aircraft to the A321LR neo in the market at the moment, leasing in an aircraft on a short-term basis was not deemed suitable," the spokesperson added. Aer Lingus would not say whether it will seek compensation or redress from Airbus, deeming the agreement "commercially sensitive". Last week, Aer Lingus announced an operating profit of €305m for 2018 - a record performance up almost 14pc over the previous year. It has also unveiled a new look logo and livery.